The weather is warming up and the time has come for us to start thinking about cleaning up the exterior of our homes, patios, roofs and even those pesky stains on the concrete in the garage or driveway. There are two terms many of us constantly hear when it comes to washing our homes- “Power washing” and “Soft Washing”. Soft Washing, could sound like a fairly new term to most. Really though, soft washing has been around for decades. It is a highly effective technique that the professionals use on all types of materials and surfaces. But what about power washing? Is it the same? Or what really is the difference between the two. Lets break them both down and examine their strengths and the benefits that come with each method. Soft Washing is a cleaning method that uses low pressure and a specialized solution to safely remove mildew, bacteria, algae and other organic stains from roofs and other building exteriors. 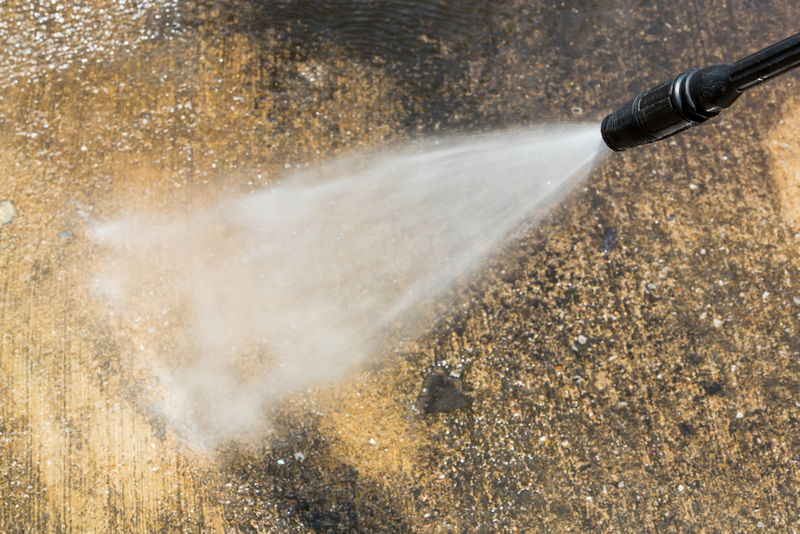 Power Washing is the use of high-pressure water spray to remove loose paint, mold, grime, dust, mud, chewing gum and dirt from surfaces and objects such as buildings, vehicles and concrete surfaces. Whereas if you are interested in power washing or pressure cleaning, this method is highly effective for removing stubborn stains and forcefully removes any dirt or grime from the surface that it comes into contact with. As you plan to get your home or business washed, the most important thing to do is choose the best pressure washing company to do the job. Great professional pressure washing companies have highly trained technicians who will be able to determine how much pressure to apply, which cleaning solution or detergent to use on your specific stain, and how long to allow the solution to soak. The experts will also ensure that no hardscaping or landscaping gets damaged during the cleaning process. By using a commercial grade cleaning detergent they will make sure to thoroughly rinse all surrounding flowers, trees, and garden decor. Both power washing and the soft washing method use a combination of pressurized water and cleaning detergents to clean the designated surface. The difference of course is that power washing relies on a higher amount of pressure, and soft washing uses lower pressure. Both methods are extremely effective, but for different surfaces and different types of stains. The key to a great pressure washing job is to understand which method works on each surface, so hire professional power washers who know the difference and will assist you in choosing the correct method for the job. Check out our next blog about the History of Annapolis!